We’ve got a nice variety of classes this next couple of weeks. Take a look! 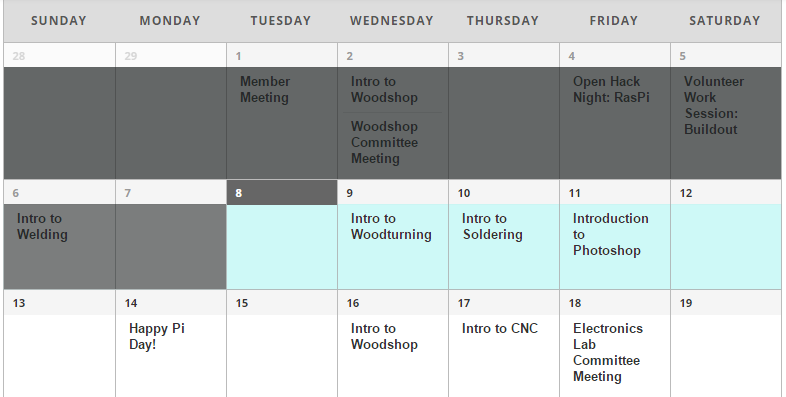 Learn Soldering, Photoshop, Wood Working, and CNC Routing! New to this lineup is our Intro to Photoshop class, taught by Matthew Doherty. Matt works out of the Button Factory and has done a lot of digital editing work professionally. He has also done some impressive projects here such as a mobile changing room for surfing and refinishing a large canoe with fiberglass resin.